Gratis pax virus. Get well soon...it should take about a week. Agree with your critique of the Leonard Cohen film. The Handsome Family was truly wasted, what about that? Me seeing it on the bigger screen at the Harvard Exit garnered only a 5% increase in value-added. 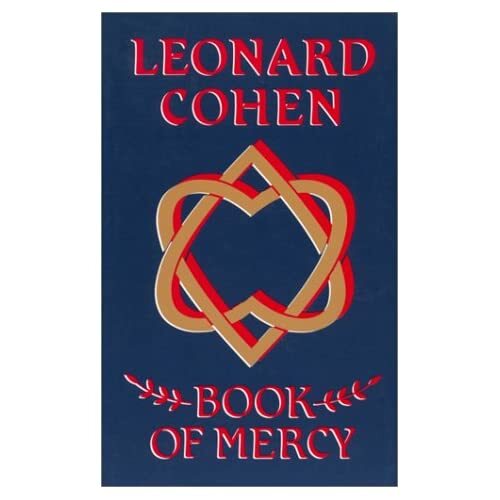 Leonard Cohen is the best, and somebody can stil do him right documentary wise. Yeah, get well. I've staved off K's sickness--she's just now recovering from it--with a steady disciplined diet of Emergen-C and Airborne. So I haven't gotten sick. Just depressed. Cohen is one of those guys I want to do a week's worth of posts with just the lyrics of some of his songs. I've always found the simpler the presentation of Cohen, the better, although I remember one performance at a tribute concert in Canada of "Everybody Knows" as a snarky lounge song worked really well. 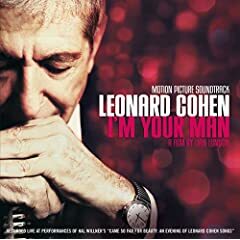 Would like there to be a k.d.lang all-Cohen disc some day. I have a treasured Jennifer Warnes/Cohen disc that generally is very good, although she over-does a couple of them. I'm kicking myself over not going to see the live stage show last year during the Dublin Theatre Festival. It featured Anjani, Antony, Laurie Anderson, Perla Batalla, Steven Bernstein, Rob Burger, Charlie Burnham, Nick Cave, Julie Christensen, Jarvis Cocker, David Coulter, Don Falzone, Gavin Friday, The Handsome Family, Robin Holcomb, Briggan Krauss, Maxim Moston, Mary Margaret O'Hara, Beth Orton, Lou Reed, Chris Spedding, Kate St John, Teddy Thompson, and Kenny Wollesen live and in person. I could do without the Lou Reed, but John Cale (also of the Velvet Underground) does a nice stripped down piano version of Hallelujah. I'll have to check out the Jennifer Warnes covers, Yojimbo.